You are here: Home / Blog / Blog / So you really think you’re brain-friendly? So you really think you’re brain-friendly? Disclaimer: I might step on some of your toes with this blog post. I’ve delivered hundreds of brain-based programs to thousands of people over the past 10 years and am often dismayed (but not surprised) when I come across a person who says, “I already know this,” or “I already do that,” but when you watch them in action and listen to them in conversation–it is clear they do not. Some of the reasons for this are linked to the brain itself. It feels good to the brain to think it is good at something (“I already do that”). It feels good to feel we are better than others (“I already know that”). It also feels painful to the brain to not know something or to find out you didn’t know something. Another common mistake I’ve seen is people who think a brain-friendly or coach-like approach is all about questioning. While questioning is a significant piece of the puzzle, it is the kinds and types of questions you ask that truly make the difference (I’ll be speaking on this more at the Partners in Business – Operation Excellence conference). For instance, “Conversation 7 – Blind Spots” refers to actions that are more non-conscious or “blind” to the people performing them. The brain loves to make things automatic so it doesn’t have to spend precious (and limited) energy to rethink every action we take. The very nature of it being automatic means it doesn’t require conscious thought or effort. That’s good (do you want to relearn how to brush your teeth every day?!) AND it can be costly in some ways. We can be automatic about things that require a bit more conscious thought or we can do or say something without even realizing we haven’t given it a conscious thought. Helping someone with a blind spot involves raising his awareness in a way that doesn’t overly engage the “fight or flight” response (governed by the limbic system). Asking “presence” or “learning” questions can help shift someone’s brain into a more quiet state and allow her to “see” themselves in action in order to make more conscious decisions. This is but one example across the seven conversations. Things are even more complicated by the fact that our brain strives to minimize danger multiple times every second. It is our primary organizing principle (E. Gordon, 2001). This hypersensitivity to threats effects our questioning approach. We tend to hyper-focus on danger (a.k.a. problems) and “question into” them. And that brings me back to my disclaimer. I don’t fault or judge the people who say, “I already do that,” or “I already know that.” Many do. But in some cases, the person’s brain has taken over (it’s usually in charge without us being aware!) and the questions he asks are not the best he might ask. When you truly understand the brain, you can begin to change the way you show up and you can start to behave in a much more brain-friendly way–starting with the questions you ask. You’ll be amazed at the results you can get. 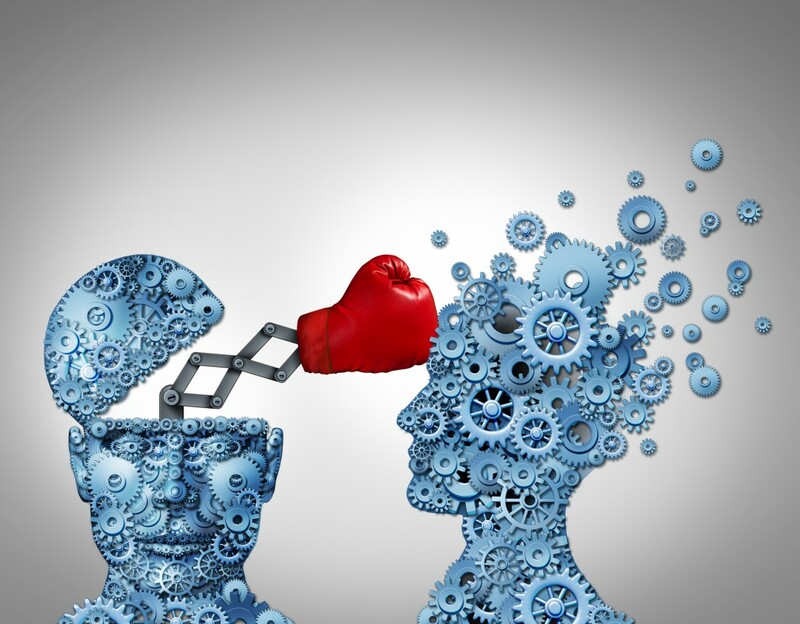 http://www.response-ableconsulting.com/wp-content/uploads/2013/04/©-Skypixel-Dreamstime.com-Business-Advantage-Photo-Brain-punching-brain-.jpg 1529 1961 Paul McGinniss http://response-ableconsulting.com/wp-content/uploads/2014/12/response-able_logo_300x146.jpg Paul McGinniss2015-09-15 10:08:422016-09-11 22:08:37So you really think you're brain-friendly? What's Wrong with My Goals? The 3rd Pillar - PERSISTENCE: The Power of Consistent Action! The 1st Pillar - FOCUS: The Power of Written Goals! The 2nd Pillar - DISCIPLINE: The Power of Choice!